There are many types of adhesives for bonding plastic depending on the application. The most popular choice is Cyanoacrylate adhesives. Cyanoacrylate adhesives are single component adhesives that polymerize quickly when pressed into a thin film between parts. The moisture absorbed onto the surface initiates the curing of the adhesive, helping to create a strong bond. Permabond cyanoacrylate adhesives can bond most ABS (Acrylonitrile butadiene styrene), PMMA (acrylic), Nylon, Phenolic, Polyamide, Polycarbonate, PVC (both rigid and flexible). Permabond POP primer should be applied before using the adhesive on polyethylene or polypropylene. Cyanoacrylate adhesives can provide clear bonds for applications where aesthetic appearance is important, for example, Permabond 2011. 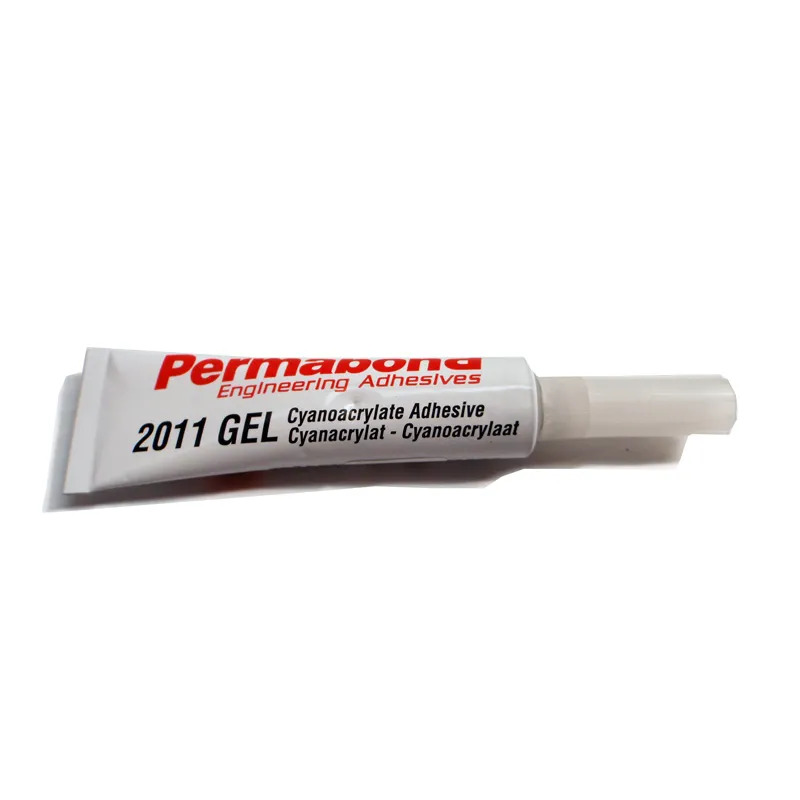 Permabond 2011 is a thixotropic, fast-setting cyanoacrylate adhesive gel, suitable for use on vertical and porous substrates. The gel is colourless with a high temperature resistance. For applications on dark plastics, choose a cyanoacrylate adhesive with a reduced odour and non-blooming grade, for example Permabond 947. 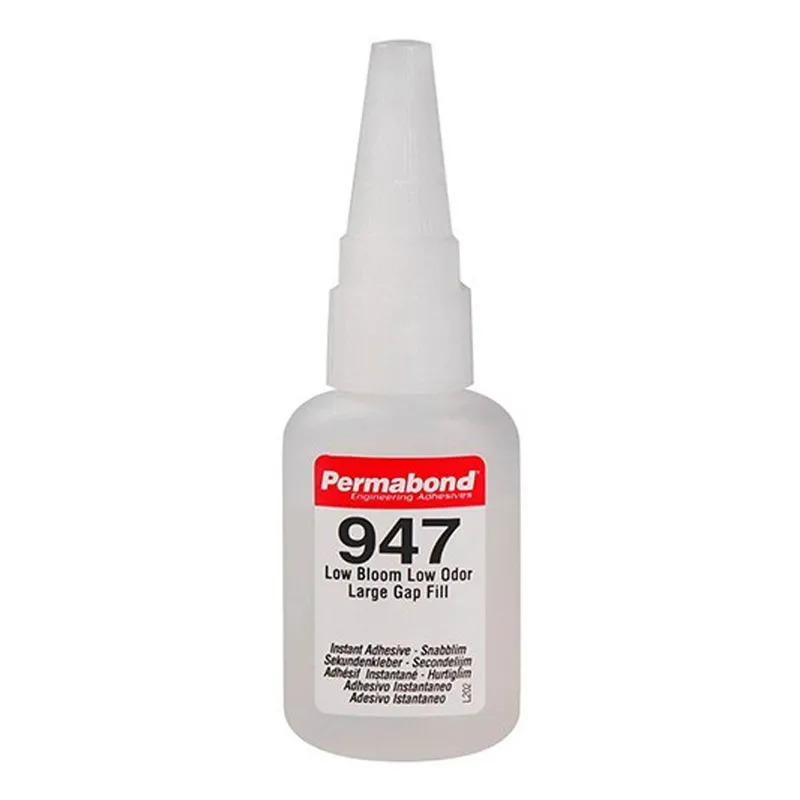 Permabond 947 is a low odour, non-blooming, alkoxyethyl cyanoacrylate adhesive of high strength and viscosity. adhesive also has good resistance to non-polar solvents such as motor oil, gasoline and toluene. It is worth noting there are some limitations to using cyanoacrylate adhesives, for example applications that require more time, may need a UV adhesive. The temperature resistance of the bond for Cyanoacrylate adhesives, range from standard heat adhesives at 185°F (85°C) to 480°F (250°C) high heat resistant adhesives. When selecting the right adhesive for bonding plastic, there are a number of factors that must be considered including the nature of the plastic and the surface condition of the plastic. To find out more about selecting the best adhesive for bonding plastic, please contact our technical team. PrevPreviousWhat is the best adhesive for bonding glass? We look forward to optimize your applications through our technologies and advise you without any commitment. To request any type of technical sheet or safety sheet.